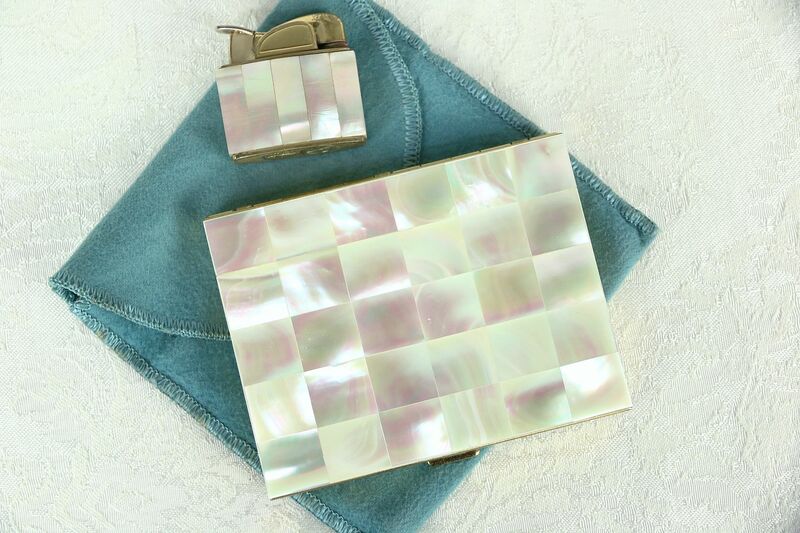 A stylish 1950's vintage cigarette case and lighter are gold plated with genuine mother of pearl mosaic, signed "Evans, USA." The interior of the case has a spun design, and holds cigarettes up to 2 7/8" long. There is a hairline crack on one pearl piece on the lighter, see photos. The lighter needs a flint. Case size is 4" x 3 1/2" and 1/2" thick.